Below 100 psia, ⅛" female NPT, 100 psia and above, ¼" female NPT. Both have a built-in stainless steel filter and are located in the bottom of the case. 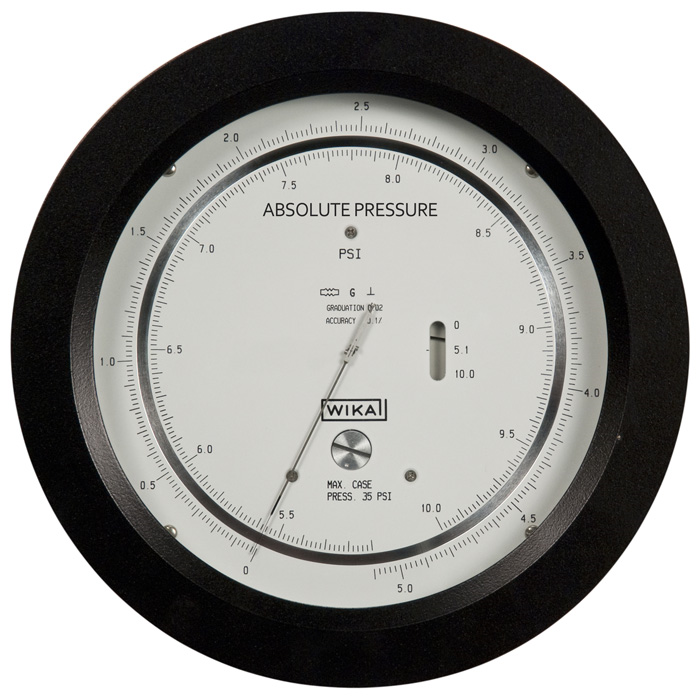 Calibration in most metric units available at no extra cost. Non-linear calibration units are available at extra cost. Also available is a compact (12 ¾" H, 12" W, 81/16" D) suit-case type carrying case with the gauge in a shock-mounted panel. The cover is easily removed and pressure connections can be made without removing the gauge from the case. Note: Gases must be non-corrosive, no liquid service.